have written a personal tribute. The show was curated by Chloe Mortimer and Harry Pye. 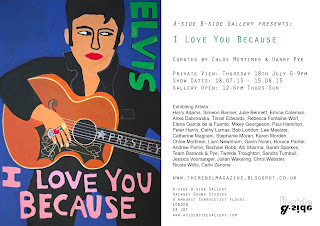 Chloe says: “Elvis Presley was strikingly handsome and his singing touched the hearts of millions.